After months of waiting, and amid worries that the DLC would never come, Dragonborn has come to the PS3. 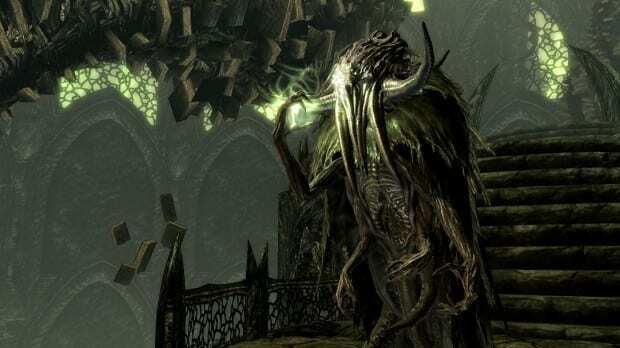 Previous Skyrim DLCs, like Dawnguard, remain unavailable on the PS3 due to continued port issues, but Bethesda aims to please disappointed fans by offering Dawnguard at half price during its launch week. Dragonborn allows players to explore the island of Solstheim in Morrowind. The two other Skyrim DLCs. Dawnguard and Hearthfire, will be available on February 19th and 26th respectively.